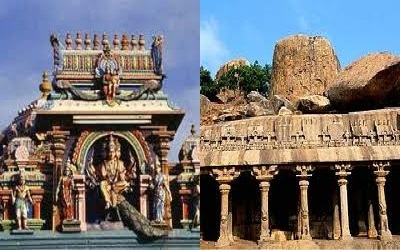 Our representative will receive you on arrival at Coimbatore Airport/ Railway station. Transfer to Ooty (100 Kms and 2 ½ Hrs). On arrival check in at Hotel. 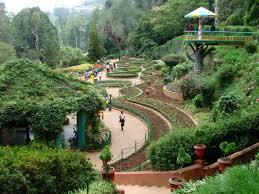 Visit Dodda Betta Peak, which gives a view of Ooty from the heights of Nilgiri. Later move for seeing Conoor Tea Gardens, Sim’s Park offering some wonderful views of varieties of flowers & trees and Dolphin’s Nose which offers scenic beauty of small mountains, springs, tea gardens etc from the top. You can indulge in hiking, boating, trekking, and horse riding also. Overnight is in Ooty. After breakfast we take you for a visit to the Botanical Garden. Botanical Garden in opty is well known and one of the oldest botanical garden in country. It is also special for its green lawns, rare trees, variety of different collections of flowering plants, clear watered pools etc. Enjoy the gardens and then transfer back to the hotel in the evening. Night stay is in Ooty. After breakfast drive to Kodaikanal (250 Kms and 7 Hrs drives). 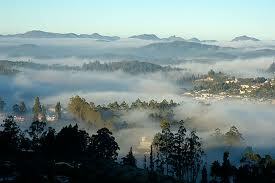 Kodaikanal is a beautiful hill station with Bracing climate at the height of 2133m. Check in at Hotel. 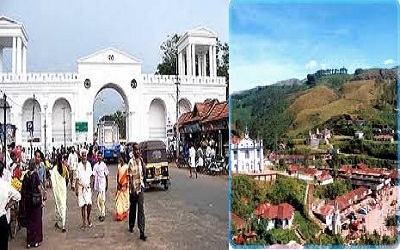 Later visit Kodaikanal lake, silver cascade waterfalls, lambs rock, Dolphin nose, Fairy Falls-, Kurinji Andavar Temple, Shenbaganur Museum, Pillar Rocks Green Valley View etc. Overnight at the hotel. After breakfast take a trek into the Pine forests and enjoy the healthiest air and beautiful surrounding also leisurely visit the Astrophysical Solar Observatory and the Orchidarium which has more than 300 species of orchids. Overnight at hotel. After breakfast drive to Munnar (160 Kms and 4 Hrs drive). Check in at Hotel in Munnar. Start sightseeing of Munnar. Including: Rajamalai, Day free for rest and personal activity. Overnight at hotel.